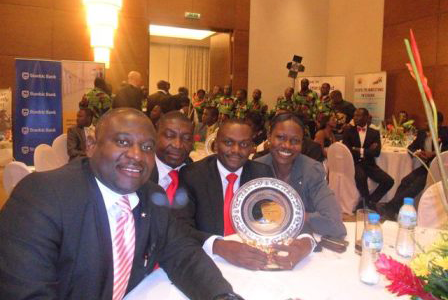 Star Assurance put up a sterling performance in the 2010 ranking of Ghana’s 100 most prestigious businesses. The Company was ranked 15th as against the 41st position in 2009. Star Assurance by this achievement, became the highest ranked Insurance Company in the General Business category on the Ghana Club 100 list. The fundamental score was based on growth. Star Assurance, the largest private insurer in Ghana today, deserves the honour because; the Company’s performance in 2010 was so remarkable. It grew by 47% as against an industry growth rate of 17.3%. This growth, the Company attributes to a very successful rebranding that focused on the people rather than physical structures and colours. The morale and commitment of staff is so high and customers like the experience. This leads to very high retention rate, referrals and ultimately, growth. The Company’s heavy investment of about $540,000.00 is paying off as our systems and processes greatly improved making it very easy to pay genuine claims quickly. One hallmark of the Star Assurance brand is the fact that we always ensure we get our people to be a part of the direction adopted by leadership. Systems are put in place and then enabled to work. Star Assurance also has a good reputation for being socially responsible. The Company has been highly rated in the past two years by Global Credit Rating of South Africa due to its claims payment ability. Management and staff continues to remain poised to maintain the high standards set in the General Insurance Business in Ghana as they maintain the attitude of putting the customer first in all decisions and actions.